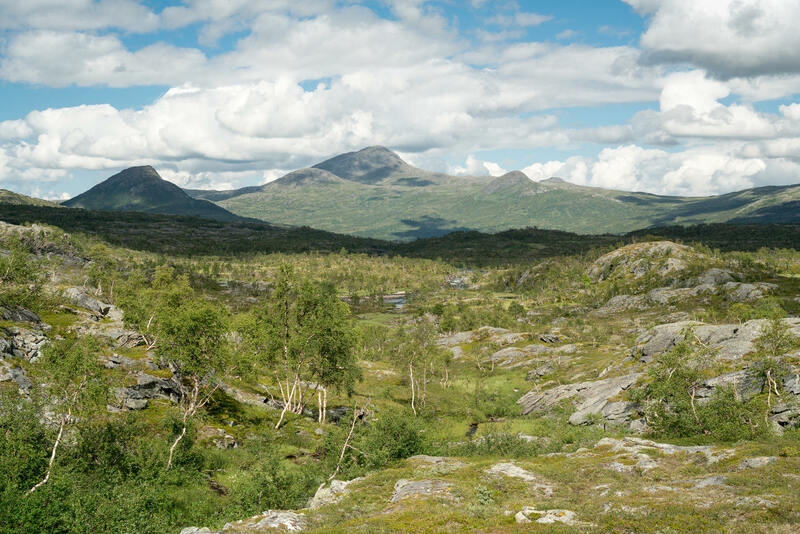 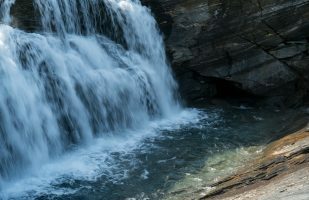 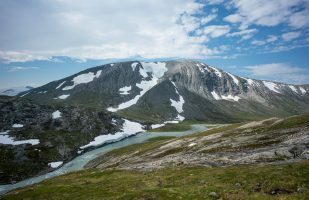 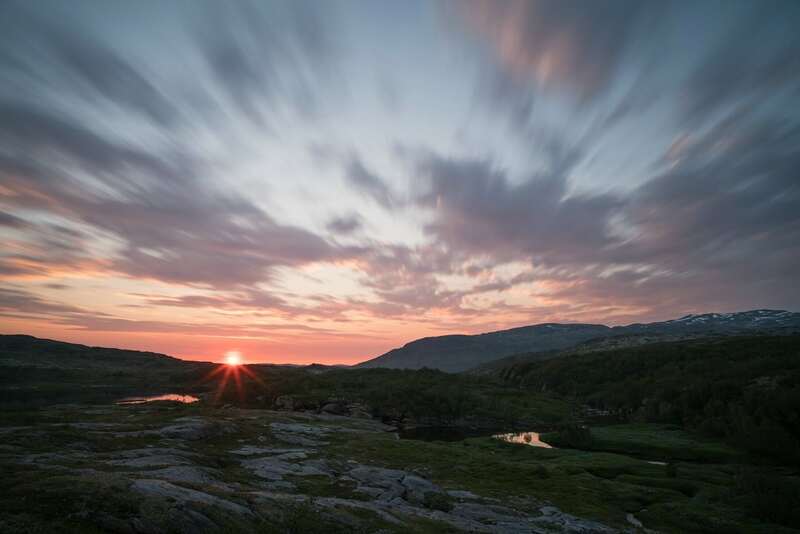 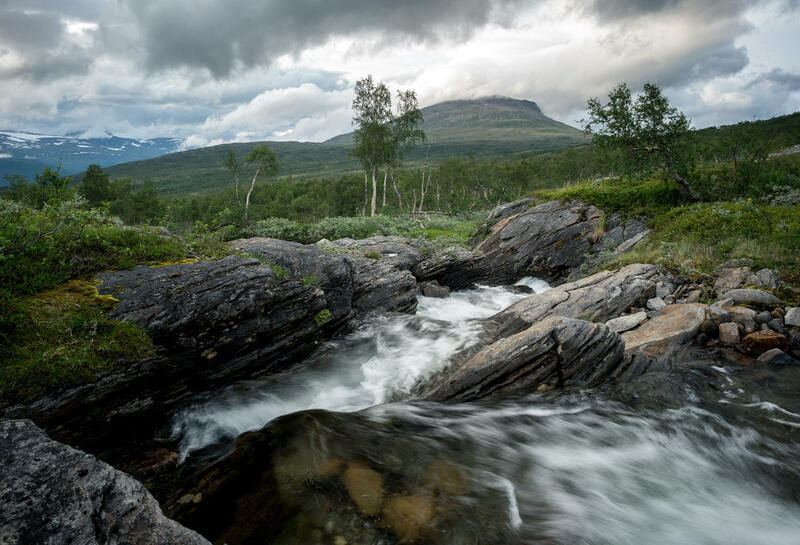 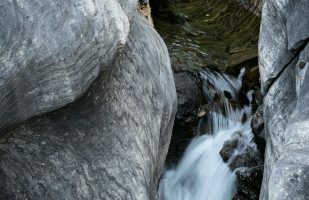 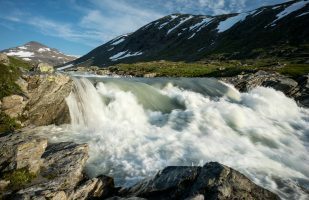 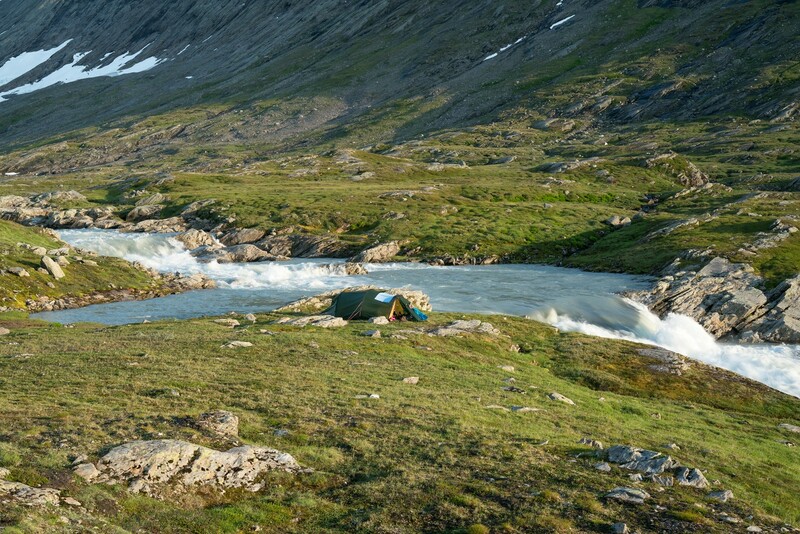 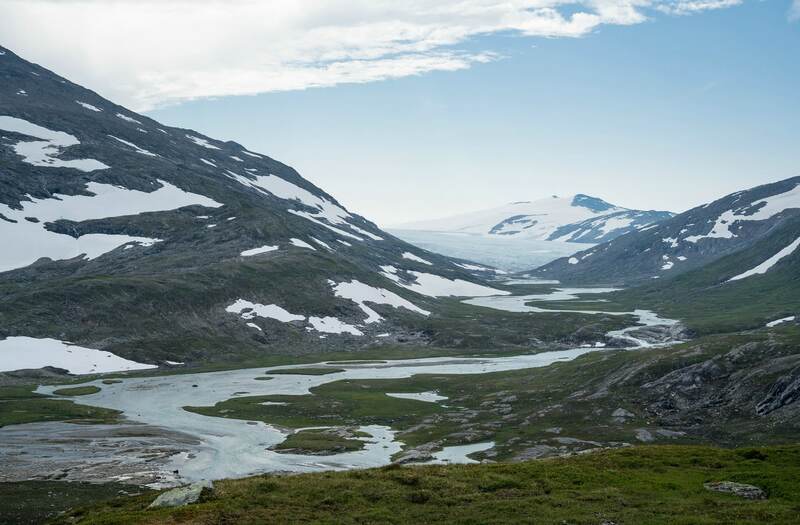 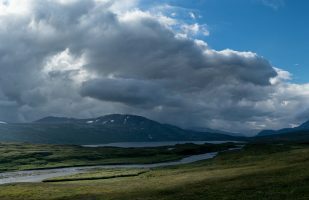 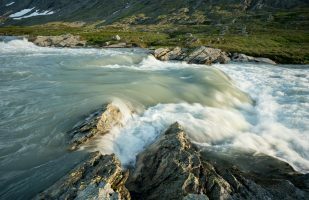 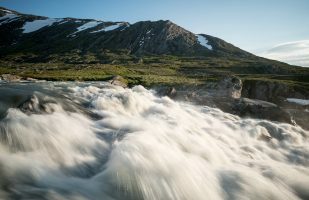 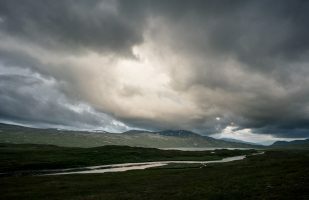 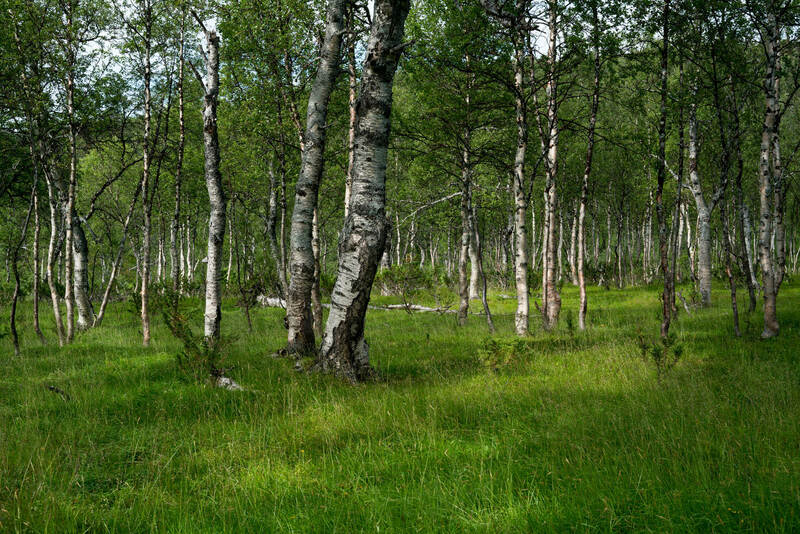 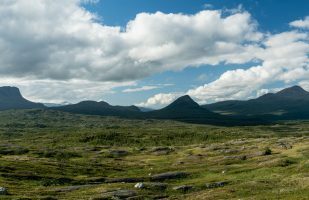 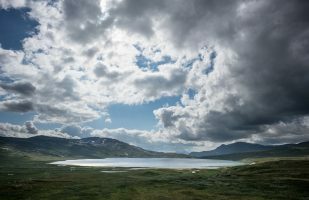 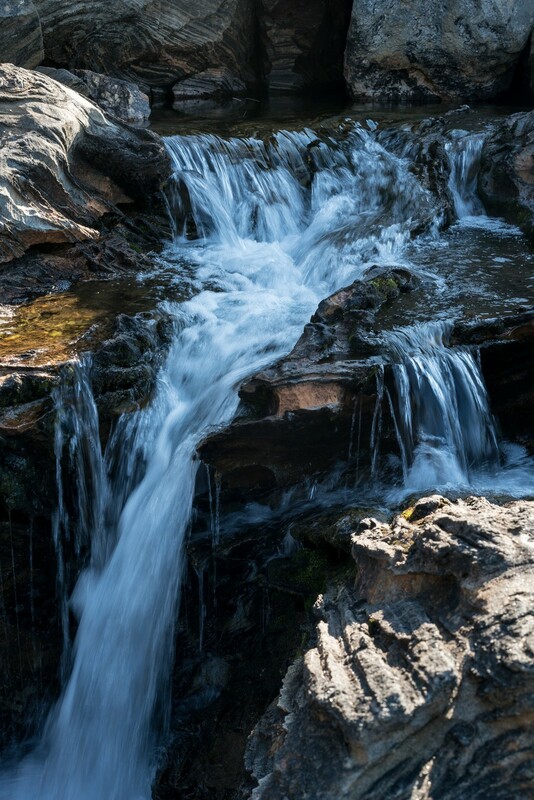 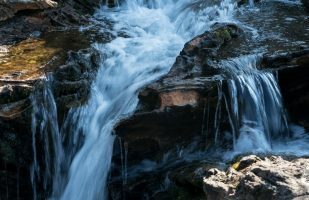 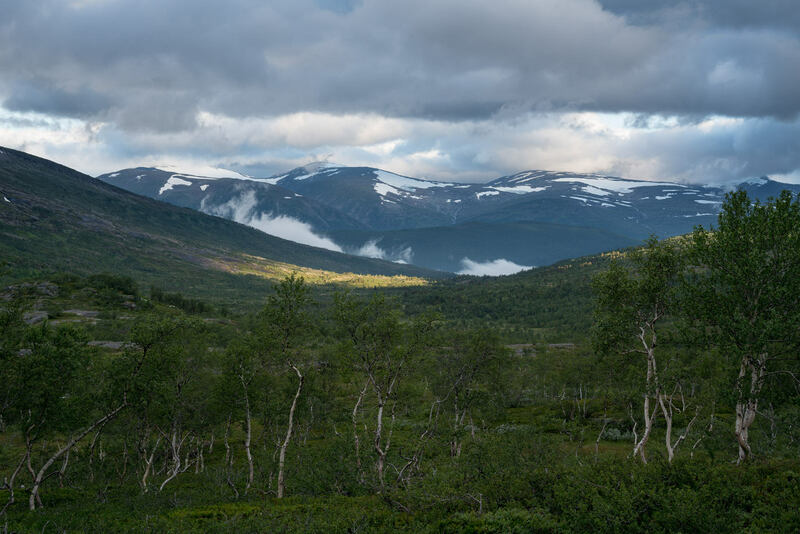 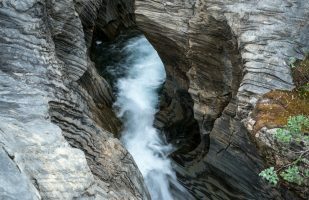 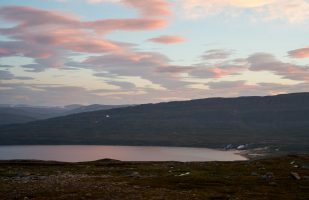 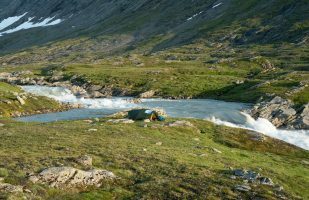 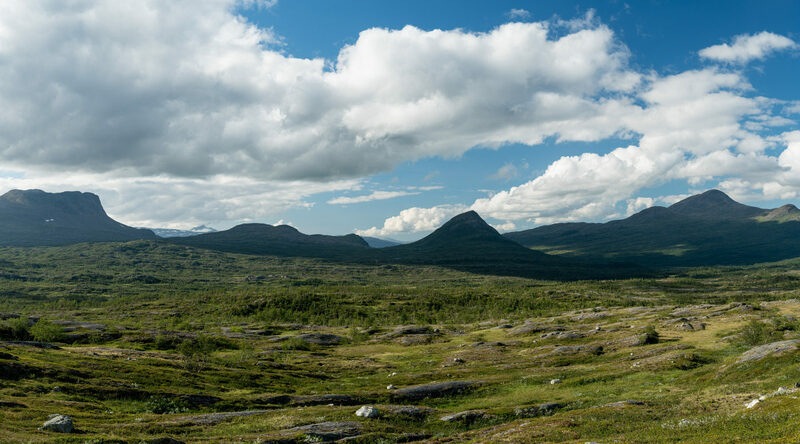 The images in this gallery have been created during a summer trip in the Saltfjellet-Svartisen National Park and the surrounding areas, specifically Láhko National Park. The Láhko area has become protected in 2012. 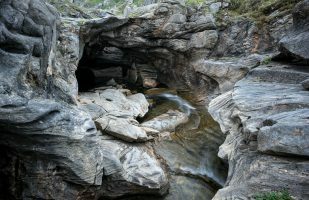 It is a small national park interesting in particular for its Karst formations where water has eroded the limestone resulting in unusual features. 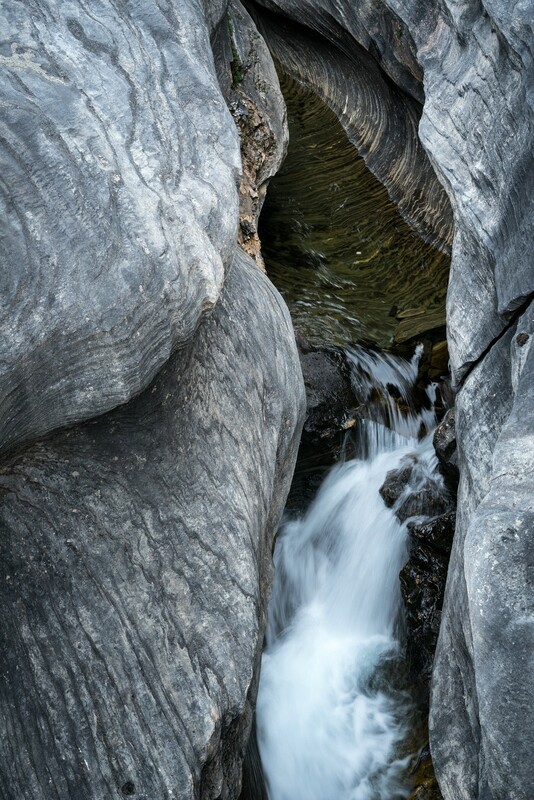 Corbels Canyon is one of the highlights of Láhko NP. Glomdalen is the valley of the stream Glomåga that carries melt water from the glacier Svartisen – Norway’s second largest glacier. 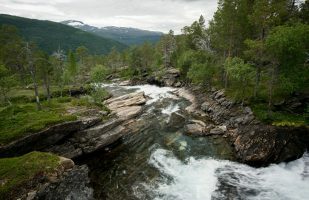 The river forms many rapids and waterfalls. 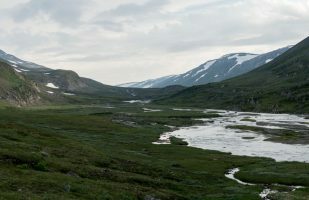 Gråtådalen is a valley running perpendicular to Glomdalen. 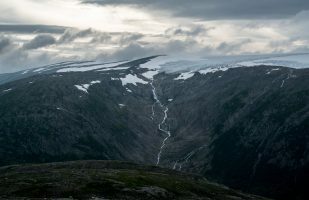 While its southern part does not feature very spectacular or jagged mountains, in its northern section there are nice glacier views from the trail. 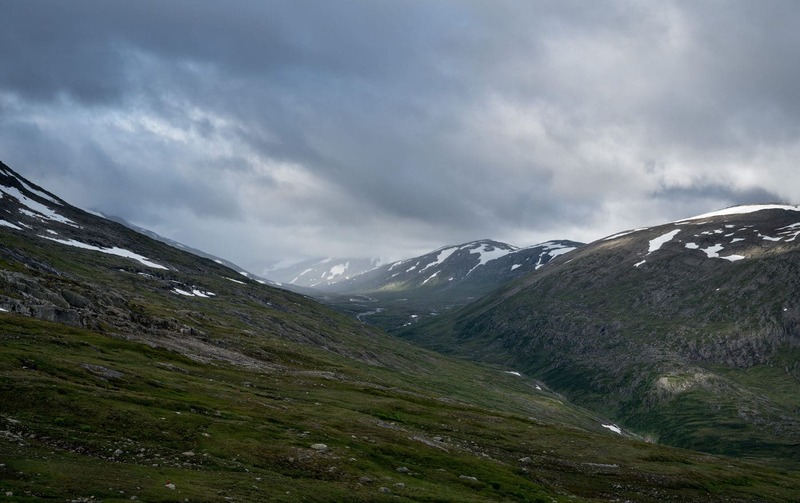 This is a side valley of Beiardalen. The lower part is forested while the upper part offers views towards the mountains and glaciers beyond Beiardalen. 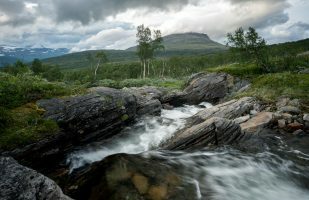 The main stream Tverråga and also some of the smaller streams offer nice photographic compositions. 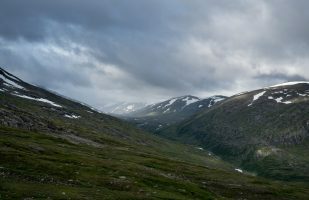 From Tverrådalen there’s a trail into Tollådalen, a valley with gentle hills and no steep summits. 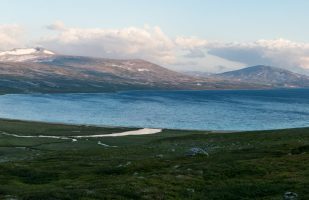 Two lakes in Saltfjellet with hut infrastructure and beautiful surroundings. 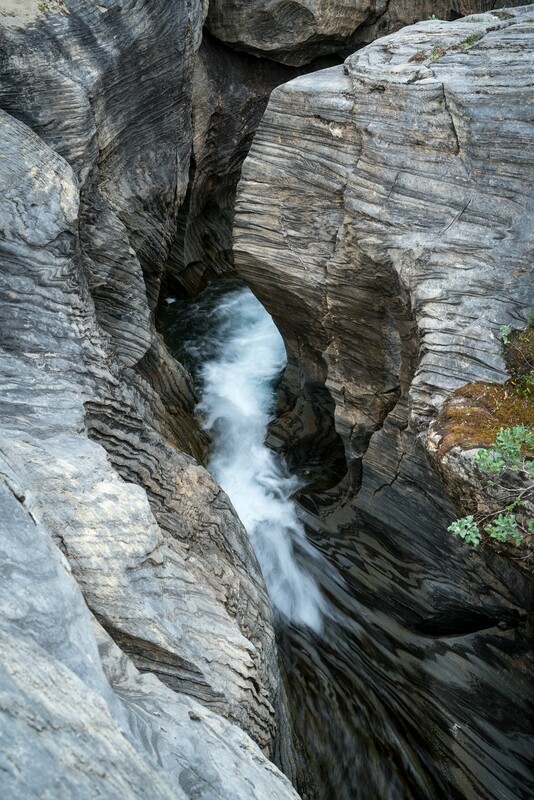 It’s worth spending some days in the area and not just rushing through. 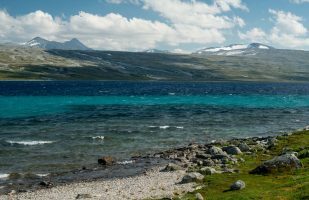 Both lakes have an intense blue color (at least if you have clear skies).